In residence at the Palladium, this dynamic group of internationally renowned soloists and chamber musicians bring vibrant interpretations of the great classic chamber repertoire. Led by Florida Orchestra Concertmaster Jeffrey Multer, and including Violist Danielle Farina, Cellist Edward Arron and Pianist Jeewon Park, don’t miss this season’s expanded series of the critically acclaimed Palladium Chamber Players, including the special Feb. 8 Ehnes Quartet Featuring Amy Schwartz Moretti. Includes standing reservation in pre-determined seats for all performances. Includes standing reservation in pre-determined seats for included performances. 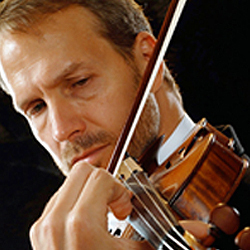 Jeffrey Multer was appointed concertmaster to The Florida Orchestra in 2006 where he currently holds the Suzette and Monroe Berkman chair. Among his many musical posts, Multer has served as first violinist of the critically acclaimed Elements Quartet, whose New York series was named Best Classical Music Event of 2003 by The Washington Post. 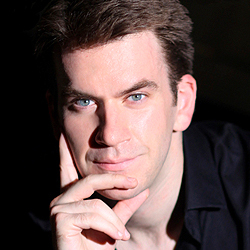 Multer has appeared as soloist and recitalist at Lincoln Center in New York, the Mozarteum in Salzburg, the Rudolphinium in Prague, and at the Kennedy Center in Washington, DC. Among his diverse chamber music activities, Multer serves as artistic director of chamber music at the Eastern Music Festival at the University of North Carolina at Greensboro. In addition, he has performed with the Orpheus Chamber Orchestra, the Great Lakes Festival in Detroit, has served as first violinist of the Oxford String Quartet and as a member of Leon Fleisher’s Kennedy Center Theater Chamber Players. Past concertmaster appointments include the Colorado Symphony, Breckenridge Music Institute in Colorado, Washington Concert Opera, and Echternacht Festival in Luxembourg. Multer began violin studies at age 5. At 16, he moved to New York City to continue studies at The Juilliard School, where he was the recipient of a Lincoln Center Fellowship. He studied under Arnold Steinhardt and Michael Tree of the Guarneri Quartet and Shmuel Ashkenasi of the Vermeer Quartet. Multer has recorded for Albany and Naxos records. In addition to his post with The Florida Orchestra, Multer serves as concertmaster and head of violin faculty at the Eastern Music Festival in Greensboro, North Carolina. He taught at Juilliard from 2000 to 2006. 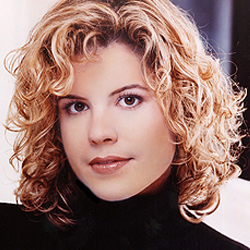 Danielle Farina is a former member of the Lark Quartet, and has toured extensively worldwide performing at some of the most prestigious venues and festivals including Lincoln Center, Carnegie Hall, Library of Congress, Smithsonian Institution, Schleswig Holstein Festival, and the International Istanbul Music Festival. While with the Lark, Farina recorded Aaron Kernis’ string quartets, music of Amy Beach, and music of Giovanni Sollima. A former member of the Elements Quartet as well, she participated in the Tibor Varga Festival in Budapest, the Great Lakes Chamber Music Festival, been in residence at Utah Valley State College, and premiered “Snaphots,” a project commissioning dozens of composers from Regina Carter to Angelo Badalamenti, to John Corigliano and more. Farina performs regularly in the New York area and around the country, among them, at the Bedford Chamber Ensemble, Music from Copland House, Lenape Chamber Ensemble, Portland Bach Festival, with whom she traveled to China. Farina is a member of the Mostly Mozart Festival Orchestra and the American Ballet Theater Orchestra and has served as principal violist of the Brooklyn Philharmonic. Farina is on faculty at the State University of New York (SUNY) Purchase, Manhattan School of Music’s Contemporary Performance Program, Vassar College, Hunter College, and the Juilliard School’s Pre-College Division. A graduate of the Curtis Institute of Music, Farina has studied with Karen Tuttle, Joseph dePasquale, Stephen Wyrczynski, and Byrnina Socolofsky. Edward Arron has garnered recognition worldwide for his elegant musicianship, impassioned performances, and creative programming. A native of Cincinnati, Arron made his New York debut in 2000 at the Metropolitan Museum of Art. Earlier that year, he performed Vivaldi’s Concerto for Two Cellos with Yo-Yo Ma and the Orchestra of St. Luke’s at the Opening Night Gala of the Caramoor International Festival. Since that time, Arron has appeared in recital, as a soloist with orchestra, and as a chamber musician throughout the United States, Europe and Asia. Last season marked Arron’s 10th anniversary season as the artistic director of the Metropolitan Museum Artists in Concert, a chamber music series created in 2003 to celebrate the 50th anniversary of the Museum’s prestigious Concerts and Lectures series. In the fall of 2009, Arron succeeded Charles Wadsworth as the artistic director, host, and resident performer of the Musical Masterworks concert series in Old Lyme, Connecticut, as well as concert series in Beaufort and Columbia, South Carolina. He is artistic director of the Caramoor Virtuosi, the resident chamber ensemble of the Caramoor International Music Festival, and is a member of the Ehnes Quartet. Arron has performed at Carnegie’s Weill and Zankel Halls, Lincoln Center’s Alice Tully and Avery Fisher Halls, New York’s Town Hall, and the 92nd Street Y, and is a frequent performer at Bargemusic. Past summer festival appearances include Ravinia, Salzburg, Mostly Mozart, BRAVO! Colorado, Tanglewood, Bridgehampton, Spoleto USA, Santa Fe, Seattle Chamber Music, Bard Music Festival, Seoul Spring, Great Mountains, and Isaac Stern’s Jerusalem Chamber Music Encounters. Arron participated in the Silk Road Project and has toured and recorded as a member of MOSAIC, an ensemble dedicated to contemporary music. Arron is a graduate of the Juilliard School, and serves on the faculty of New York University. Praised for her “deeply reflective playing” (Indianapolis Star) and “infectious exuberance” (New York Times), Korean-born pianist Jeewon Park has garnered the attention of audiences for her dazzling technique and poetic lyricism. Since making her debut at the age of 12 performing Chopin’s First Concerto with the Korean Symphony Orchestra, Park has performed at Carnegie Hall, Lincoln Center’s Alice Tully Hall, Merkin Hall, 92nd Street Y, Philadelphia Museum of Art, Kravis Center, and Seoul Arts Center in Korea. Park has performed as soloist with the Hwa Eum Chamber Orchestra in the Inaugural Festival of the IBK Chamber Hall at the Seoul Arts Center, at the Metropolitan Museum’s Grace Rainey Rogers Auditorium, Tilles Center for the Performing Arts, Vilar Performing Arts Center, and Kumho Art Hall in Seoul, among others. 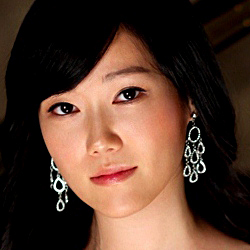 She returns to the Caramoor International Music Festival as a member of Caramoor Virtuosi where she was a Rising Star in 2007, the Bridgehampton Chamber Music Festival, and the Seattle Chamber Music Festival. Park has performed at Spoleto USA, Bridgehampton Chamber Music Festival, Lake Champlain Chamber Music Festival, Appalachian Summer Festival, Central Vermont Chamber Music Festival, Taos Summer Music Festival, Norfolk Chamber Music Festival, Emilia-Romagna Festival (Italy), Music Alp in Courchevel (France), and Kusatsu Summer Music Festival (Japan). She has collaborated with the Metropolitan Opera Orchestra, New York Philharmonic Chamber Ensemble, and has performed with the Guarneri, Juilliard, Vermeer, Brentano, Tokyo, Fine Arts, and Miami Quartets. Park has been appeared on NPR and her performances have been nationally broadcast throughout Korea on KBS television. She came to the U. S. in 2002, after having won all the major competitions in Korea. Park is a graduate of the Juilliard School and Yale University. She holds the DMA degree from SUNY Stony Brook.